With so many different roofing options available, it can be challenging to select the right material. Some may offer extreme durability while others provide an attractive appearance that naturally enhances the property’s curb appeal. One of the leading choices roofing contractors have to offer for commercial roofs is TPO roofing. It’s a unique product that’s engineered for efficiency and could be the solution to your building’s roof needs. 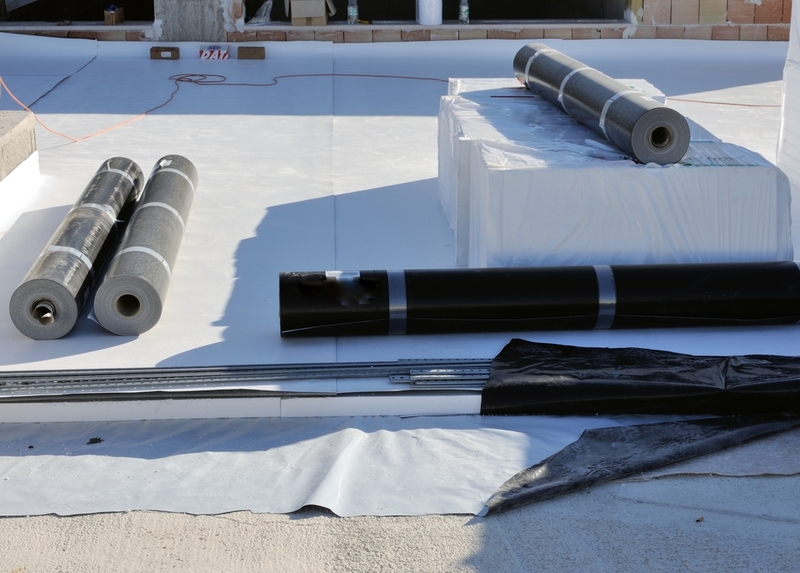 TPO or thermoplastic polyolefin roofing is created from various plastic, filler, and rubber compounds. Once the materials have been melted together, filler components are added to increase the product’s strength and durability. This results in a single-ply membrane that can be designed to fit and protect structures of any size. It comes in a wide range of whites, grays, and blacks and is installed with a hot air welding tool that completely seals the seams. With a high wind rating and long life expectancy, it’s easy to see why roofing contractors consider this material to be a top option on the market. Having your roofing contractor install TPO roofing comes with many benefits. For instance, the smooth surface makes it hard for dust and debris to pile up, keeping the top of your building clear and free of mold or algae growth. Another advantage is that it’s naturally resistant to tears. The flexibility of the material allows the material to bend upon impact and maintain its condition throughout the duration of its lifespan. Finally, TPO roofing products are energy-efficient roofing options. The sun’s ultraviolet rays are reflected away from the building to help keep interior temperatures from rising. This makes it easier for your heating and cooling system to maintain a comfortable atmosphere and could gradually boost its efficiency. Interested in learning more about TPO roofing? The roofing contractors at Genesis Roofing in White County, TN, have 30 years of experience in roof installation. They pride themselves on staying up to date on the industry’s latest products and strive to implement the most efficient techniques in roof replacement and repair. As a locally owned company, these experts understand the value of customer service and will work with you to determine an affordable solution that suits your needs. Call (931) 335-2775 to speak directly with a friendly representative, or find out more about their services online.